One of the things I love most about living in Liverpool is how alive it is. The city is always abuzz with people excitedly going shopping, catching up in pubs, sipping champagne in bars and enjoying good food. And with so many options for where to go and what to do, you could go for a whole year and never go the same place twice. Whenever I hear about a new restaurant my ears prick up, my tummy rumbles and my feet itch to go and check it out. 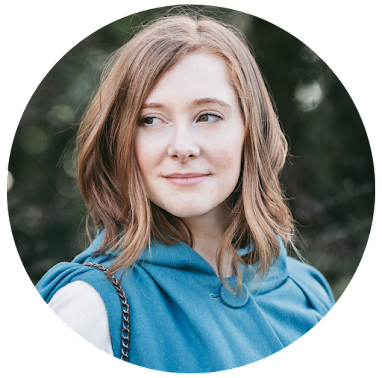 And when Sarah told me about the press event for Gino D'Acampo's 'My Restaurant' on Castle Street and asked if I wanted to go with her I spent no time rushing around arranging childcare for Eric to make sure I could attend. Having spent the past year suffering from FOMO and turning down events because I was either about to drop or had a newborn to look after, this seemed the perfect way to get me back on the horse, and I found myself counting down the days until it was time for the event. 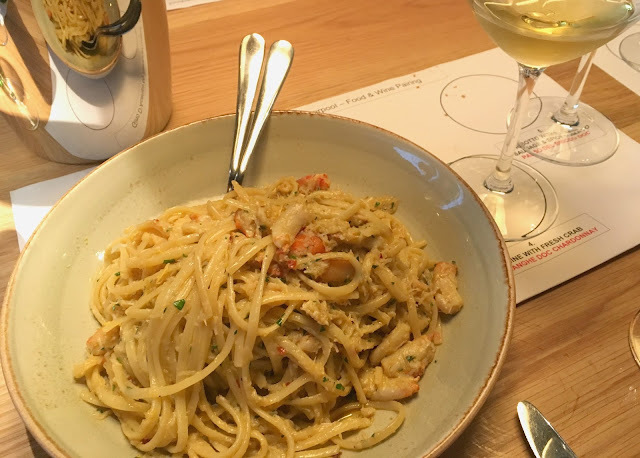 Having experienced quite a few different restaurants in the city centre it was difficult to know what to expect, but as soon as I took a step into the restaurant I knew that there was a strong chance I was going to like it. 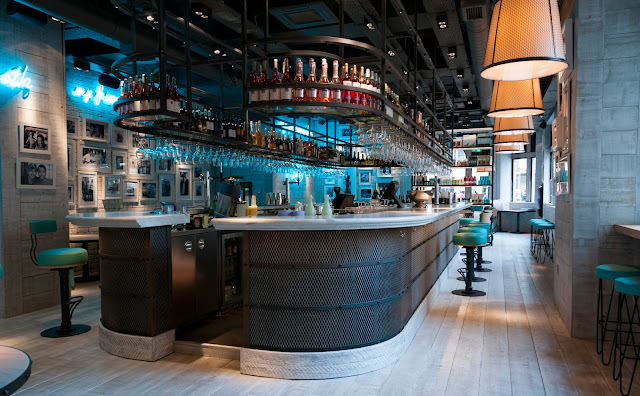 There are some places you go to that just give you a vibe that sets the tone for the evening, and 'My Restaurant' instantly emits a lively, welcoming and subtly stylish ambience the second you walk through the door, not dissimilar than the feel I get when I think of Italian interiors. 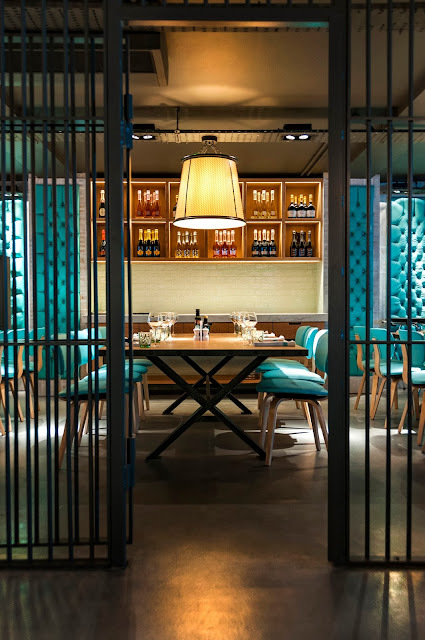 Clean, vibrant and well-designed, the restaurant floor was buzzing with the sound of happy diners, with busy staff flitting in between the tables and a open kitchen that filled the air with the most delicious smells. As we headed downstairs, it became evident how deceptively large the footprint of the restaurant is. Something that I don't think I fully appreciated on the outset. The exclusive Bullion Room - where the press evening took place - is located in one of the vaults (the restaurant used to be a bank). The placement of this private doing space honestly makes you feel like you're in a film, something that only heightens the exclusivity - a feature that I have only ever experienced in one other restaurant. Once all the guests had arrived and we were all settled around the dining table, the evening began. The staff introduced themselves and told us a little about the restaurant and the inspiration behind it. There was even a message from Gino himself, who was away in Sardinia. After a few sips of our prosecco, everyone then started tucking in to the 'Fantastico' antipasti platter that were positioned in between us. 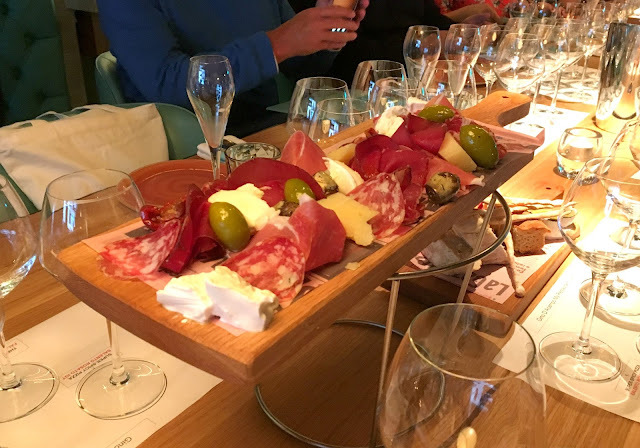 The beautiful selection of cheese, cured meats and nibbles were presented on wooden boards. 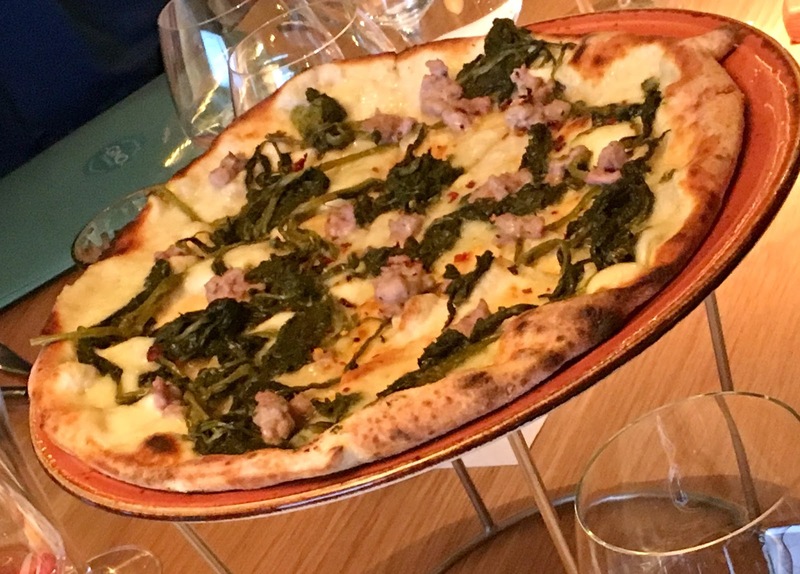 Unpretentious, straight forward, but well-presented, these all were a great introduction to the rustic Italian style of the menu and were very well paired with a glass of Primo Prosecco Spumante DOC. Prosecco (and wine) played a big part of our evening, with each dish being paired with a glass of prosecco, white wine, rosé or red. In addition to the dining space, 'My Restaurant' also offers a prosecco bar, with several bottles to choose from and some with the option of single glass servings (so that you can figure out what you like). If you're a fan of the fizz like I am, this is definitely an instant turn on. Aside from the fizz, stand out glasses of wine were the Dada Langhe Doc Chardonnay, which has completely converted me back on to whites, and the Passo Del Bricco DOC. 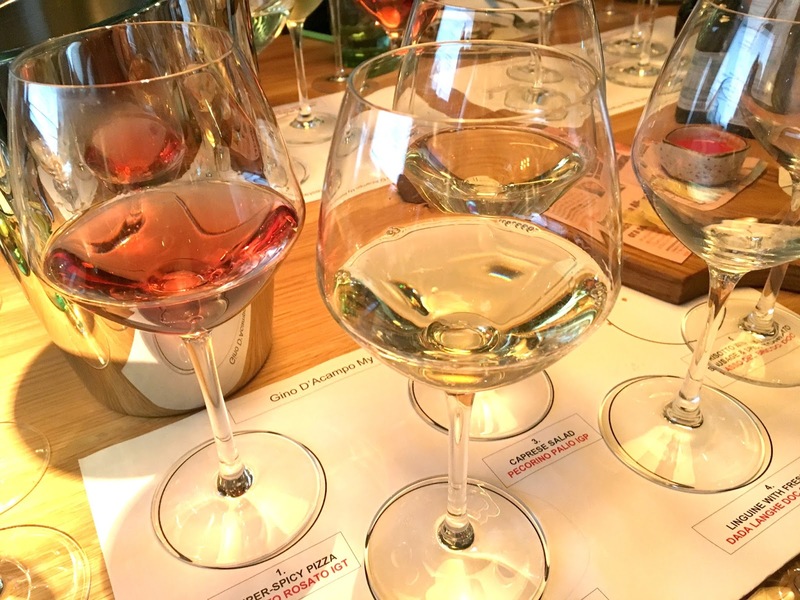 It was abundantly clear just how much thought had gone into what featured on the wine and drinks menu as there were options to suit all palates and preferences. But as much as I was impressed and blown away by the drinks, the food was in a completely different league. A plethora of dishes followed the antipasti, all offering us a sneak peek at the Autumn/Winter menu. Each dish presented was impeccably cooked, perfectly balanced and absolutely delicious. No compromises has been made on flavour, and the food did not hide behind ostentatious presentation. It delivered on taste, with every bite jam-packed with layers of flavour, and left you wanting more (in the best possible way). I wish I was able to highlight some of my favourites, but everything was a delight to eat. Ordinarily there are some ingredients that make me turn up my nose, but I wanted to try every single thing. And I am so glad that I did. If there is one thing that surpasses the menu at 'My Restaurant', it is the passion and dedication of the staff who work there. 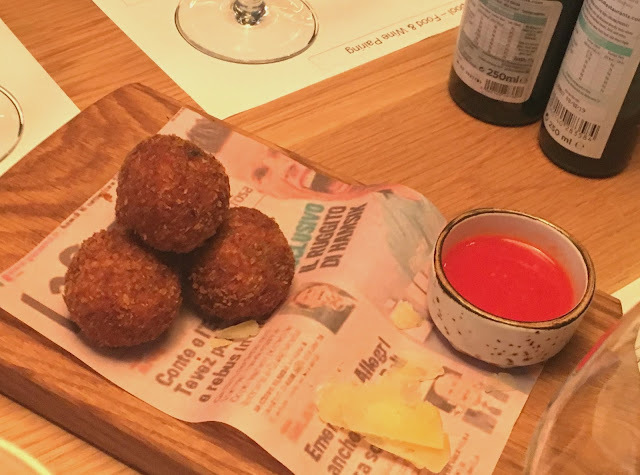 Everybody at the event spoke with so much enthusiasm and absolute infectious excitement about the dishes and drinks that it made you feel just the same way. 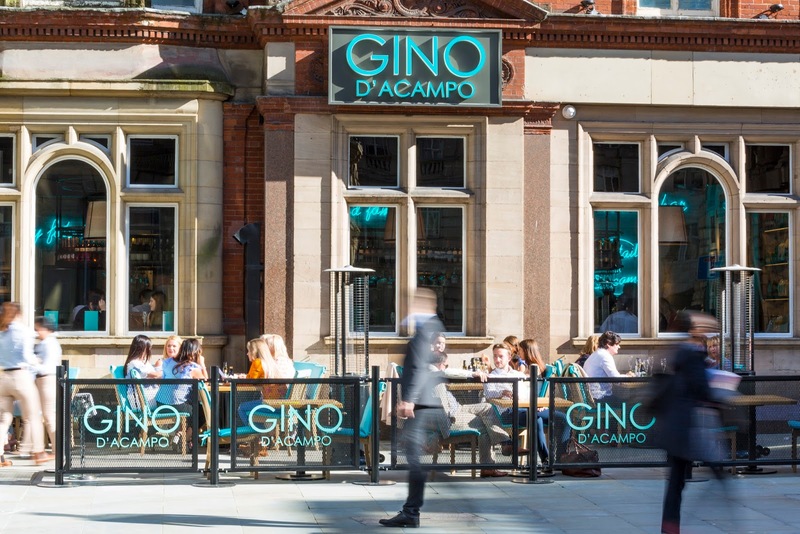 In a city where restaurants can get lost in the crowd, Gino D'Acampo's 'My Restaurant' has really found a niche that I haven't really seen before. 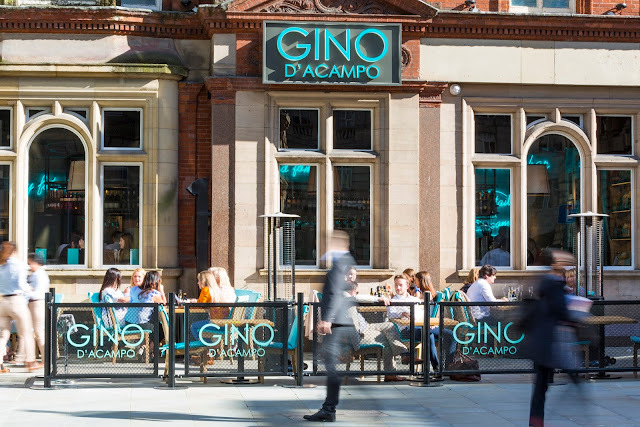 A place suitable for couples, families and groups of friends, and offering not just a dining experience but the makings of a stellar night out, I think it has the potential to become one of the city's hotspots pretty quickly, and personally I cannot wait to see it grow. Such a fabulous night, everything tasted so so good! I can't wait to head back and have another meal there, I just don't know what I'd order! Spoilt for choice!